Once upon a time in the Kingdom of Fancy Pants there lived a boy named Jack. Jack worked at the Royal Fancy Pants Laundromat making laundry soap. Jack was very poor, but he generously bestowed his bright and sunny smile on everyone he met. Now this land wasn’t called the Kingdom of Fancy Pants for nothing. The pants there had sequins and beautiful colors, special cuts and shapes, intricate embroidery and extravagant material, frills and patterns and lace. These pants were fancy. As you can imagine wearing fancy pants every day can create a lot of laundry. The wealthier Fancy Pantsians would come to the laundromat once a week or so, having enough fancy pants to last between trips. The poorer Fancy Pantsians, however would come more often, some came daily to wash a single pair of fancy pants. Every day as Jack came to deliver that day’s soap, he would watch the fancy pants spin end over end in the washers and tumble legs over waist in the driers, but he never went in the front door to wash his own fancy pants because, well, his only pair of pants weren’t very fancy. They were dull and grey. As time went by the spinning colors of the laundromat drew him in more and more. Soon he’d stop to watch both before his soap delivery and after. Then he started coming back once he’d finished making soap. As Jack began to watch the pants more and more, he stopped doing other things and the bright smile that everyone loved to see on Jack’s face grew dull and grey like his pants. At first Jack had come because it was fun to see all those colors and patterns spinning in one place. But soon he’d look down at his dull grey pants, then up at the spinning shades of orange and green and purple and blue and wish he had some pants that were, at least a bit, fancy. Now there’s nothing wrong with wishing you had fancy pants, I do on a regular basis, but Jack didn’t stop at wishing, he became jealous. And in his jealousy he became angry at those who had fancy pants when he did not. And instead of stopping even at that, he let that jealousy grow into bitterness. And as the bitterness grew Jack’s heart followed his smile and became dull and grey, and he began to hate the Fancy Pantsians and their fancy pants. Jack no longer wanted to smile or even watch the fancy pants spin in the laundromat. He stopped doing everything that once made him happy and his smile, even the dull and grey one, drifted away. All he could think about was stopping everyone else from having fancy pants. Jack was a very resourceful boy, had he had a fairy godmother or kindly old neighbor he might have used this inclination to fancy up his pants, but he was all alone and his brilliant mind turned toward a soap so powerful it would wash the fancyness out of every pair of pants in the kingdom. He worked on it for a year and a day and when he finally perfected it, he packaged it up in his normal way and set out to deliver his fancynessless soap. Jack stopped short. He looked all around to see who the king was talking to. “But these aren’t fancy,” Jack said. “But these aren’t fancy,” Jack said again. “But these aren’t fancy,” Jack said once more. Jack’s heart, which had dulled and greyed with each hateful thought, suddenly burst its seams and doubled in size and the bright smile flew back into his mouth. Then Jack did something he hadn’t done in a long time, he laughed. That day the king and Jack talked through lunch, into dinner, and well past Jack’s bed time. 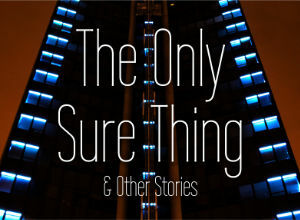 Jack told him everything, about his job and his life, his longing for fancy pants and the soap he had made. The crowd of Pantslandians cheered, but Jack cheered the loudest. Jack still lives in Pantsland, and now uses his resourcefulness to help people be more comfortable with the pants they have. 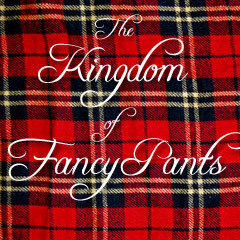 Synopsis: Even in the Kingdom of Fancy Pants, not everyone has fancy pants.